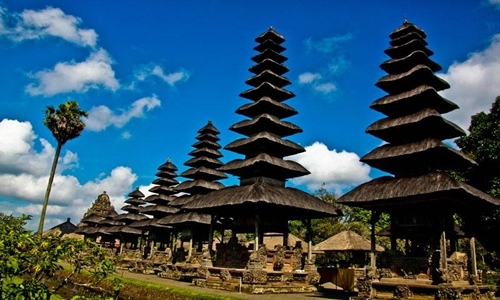 North Bali tours is one of popular Bali full day tour package which is special for explore places of interest in northern part of Bali island such as visit Taman Ayun temple, Ulun Danu temple, Gitgit waterfall, Buddhist temple, Banjar hot spring, Lovina and visit coffee plantation. This tour itinerary has been designed with you in mind, however we are happy to change by visit other tourist spots based on guest request if one of our tour itinerary have been visited. Our tour price is fix price means no additional fee will be applied and we will be happy if you would like adjust the the tour itinerary based on your budget. Please contact us now for best arrangement and get our special offer if you book more than 2 person. Ulun Danu temple located in Candi Kuning countryside and one of Balinese Hindu temple set on lake side of Beratan and surrounding by beautiful lake and hills. This temple is a place of worship to Sang Hyang Dewi Danu which is dedicated as the giver of the lives of all beings on this earth. Gitgit waterfall is one of best place to visit in north part of Bali island. 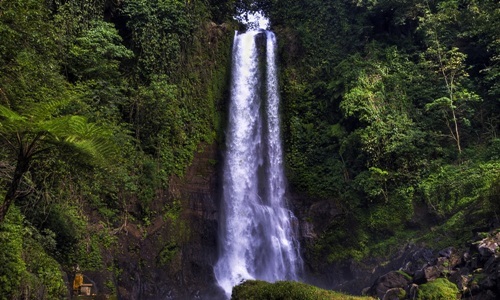 The highest waterfall in Bali with height reaches 35 meters. Located in Gigit countryside. Road access to main location is by walk past the clove and coffee plantation. Gigit waterfall offer a natural setting surrounding by tropical forest protected by the local comunity. 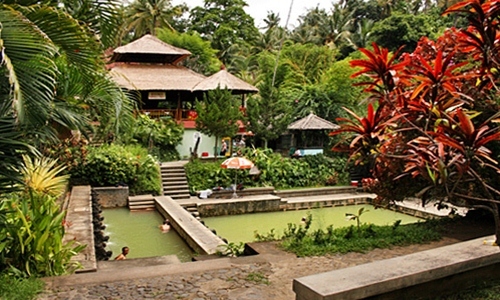 Banjar Hot Spring is natural water that emerges from the ground to the surface which is containing brimstone substances. Banjar Hot Spring existing around a hundred years and was built in the Japanese colonial era and as bathing place. A lot of people believe that the water can cure some diseases such as ringworm and other skin diseases. Visit Luwak coffee plantation is our last destination for this tour. Here you can see and taste many kinds of coffee, also they will serve Luwak coffee which is one of best coffee in Bali. Luwak coffee is seeds taken from civet droppings and then undergoes fermentation naturally then issued in the form of coffee beans and believed to have different flavors that have a higher quality than arabica coffee. 17:30 – Back to hotel.